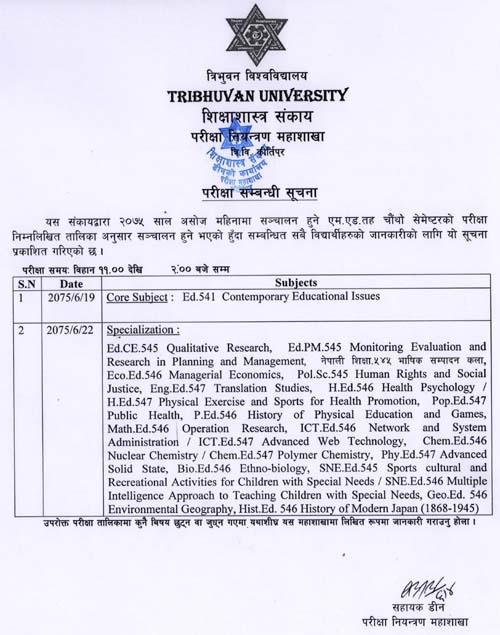 Tribhuvan University, Faculty of Education published Exam Routine for M. Ed. Fourth Semester 2075. Exam starts from 2075 Ashoj 19 and Exam time is 11:00 AM to 2:00 PM. Check complete M. Ed. Fourth Semester Routine 2075 of Tribhuvan University below.